Leg warmers are definitely back on trend. 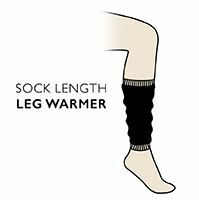 These cosy and warm stylish leg warmers are bang up to date and ideal for when the temperature plummets. They provide a great addition to this season's outdoor wear and can be worn inside boots or under trousers - simply pull them on to keep toasty warm indoors and out.